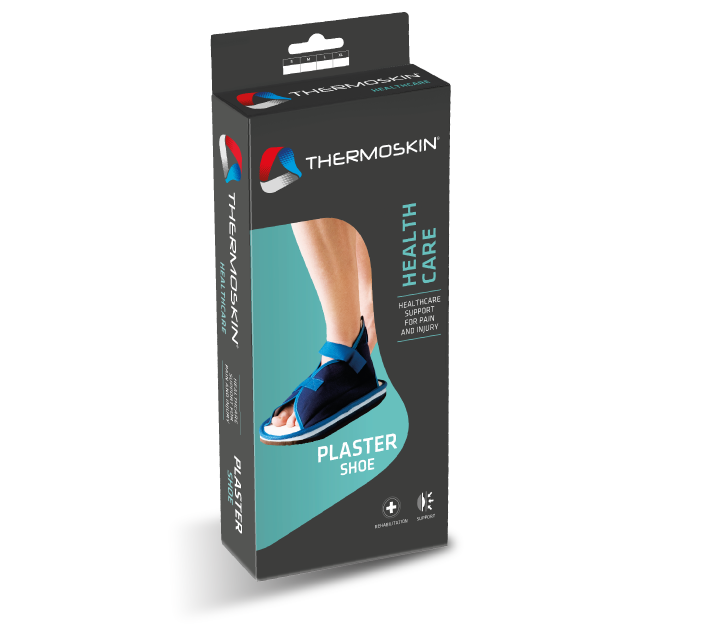 Plaster Shoe – Thermoskin – Supports and braces for injury and pain management. Ideal for use after plaster cast application of the foot and/or ankle. Allows for normal walking motion and balance. Prevents slipping. 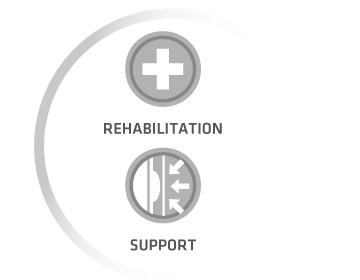 Thermoskin® provide a range of healthcare supports and treatment aids designed to assist recovery in conditions generally diagnosed by a medical professional. Please consult with your healthcare specialist for appropriate use prior to applying these products. 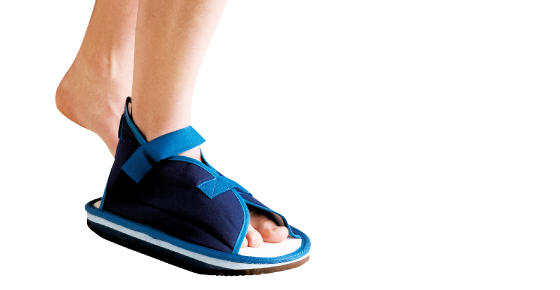 Position cast inside the shoe and close the fastener strap at the hindfoot and midfoot. Should an irritation or rash develop, discontinue use and consult your medical professional. 50% Eva, 30% Cotton, 10% Foam, 10% Polyamide. Measure length and width of foot.